Keeping and nurturing existing clients is a more reliable and less time-consuming way to conduct your freelance writing business, when compared to doing lots of one-off pieces of work for all and sundry. You don’t need to spend as much time marketing yourself, and you can build on existing good relationships rather than constantly starting new ones. In this podcast, I talk about the 13 top tips to turn one-off clients into repeat business and there is, of course, the Little Bird Recommendation of the Week too. Hello and welcome to episode 39 of A Little Bird Told Me: the freelance writing podcast about the highs, the lows and the no-nos of successful self-employment. I am Philippa Willitts and today I’m going to be talking about how freelance writers can turn one-off clients into repeat business. I am here without my usual co-host Lorrie, who’ll be back next week for our next dual episode; today, you’ve just got me. If you want to make sure you never miss another episode, the thing to do is subscribe. And we make it really easy: there are several ways to do that via alittlebirdtoldme.podomatic.com. If you use an RSS feed to subscribe to podcasts, which I do, you can find the RSS feed there. If you’re more of an iTunes person, there’s a link too. And if you like Stitcher Smart Radio, which I also use on my Android tablet, you can listen to us there, too. You can also leave us thumbs-up and feedback on your preferred mode of listening, or you can subscribe to us directly to us on Podomatic. You’ll get an email notification as soon as we have a new episode. On that page, you’ll also find links to our Facebook page and we love it when people come and say hi, ask questions and give us suggestions. You can also find the links to my websites and social media fees. So with that out of the way, let’s get down to business! When you’re a freelancer, you spend a lot of time marketing yourself, finding new clients, approaching people and persuading them that you’re the writer for them. It’s a lot of work. What becomes clear over time is that it’s easier to get repeat business from a client than to find a new one. You’ve already built a relationship with them, so don’t let it drop too easily. It also takes a lot less of your time than finding new people to approach, taking the time to get to know their business, taking the time to get to know what they do – that kind of thing. Some clients genuinely just do need one piece of work doing. They may have an in-house person who was off-sick, so they hired you as a one-off. However often, if you scratch the surface, you will find that they need more. Another benefit of repeat customers is that it’s also a good confidence boost – if they come back to you, it means they were really pleased with what you did. They liked the way you worked, they found you reliable, talented and found you understood the work they do. So getting repeat clients is just really nice; you know they’re pleased with what you’ve done for them. If you’re still unsure, have a think about the lifetime value of the customer. If you get £250 worth of work from them, that’s brilliant. But if you can get £250 a month from that client, then that’s £3,000 coming your way every year. It all adds up, even regular small jobs – it doesn’t even have to be worth that much; your income will often come from a variety of places. So in this episode, I’ll talk about the 13 top ways to turn one-off clients into repeat customers. The first one is very simple and very complicated, and that’s to be amazing! Often, a client will say they just want one piece of work because they want to test you out. They might be nervous and want to test out your writing, skills and reliability before committing to more regular work. Can you submit work to a deadline or are you chaotic? Are you pleasant to work with? So what you have to do is prove yourself. Prove you can write in the style they need; prove that you are easy to work with; prove that you meet deadlines. Make a great impression and do the best you can. The second tip is to be consistent. If as a one-off piece of work, they wanted four blog posts and you give them two great ones and two that are just so-so, you will not seduce your customers into coming back. They want consistency as well as quality. Tip number three is to talk to clients about their needs. Sometimes all it takes is a discussion about where they want their business to go, and from that you can identify from that the services you are able to offer that will help them to reach their goals. They may not know that you can write a wicked press release that will get their business in the local paper. They may not have thought about the benefits of a case study in their annual report. Don’t be pushy but chat to them about they need. Be pro-active and come forward and say, “Actually, I think you’d benefit from these blog posts being weekly.” If they don’t know you provide a service, or they don’t know that the service will be helpful to them, they won’t think to hire you for that. So, as is so often the case, communication can really open doors. When you find out their business goals, identify yourself as a key way to reach those goals. The next point is to stay in touch, and follow up regularly. Check in periodically, see how they are, see if they need any extra work. Sometimes a courtesy call can be good – two weeks after you’ve submitted the one-off piece of work to them, give them a call. See if they got good results and if they need anything else. This can be helped by having an email mailing list – encourage clients to join, then send out regular reminders that you exist, and tempt them back for more work from you. Remind them that you exist and increase the likelihood that they’ll come back to you when they need something else. The next tip, I’m offering warily, but there is a place for it, and that’s special offers. Be careful with this one, because you don’t want to put yourself in a position where you are working at a loss, or aren’t getting the fees you deserve, but it’s something to consider if you can make it work on both sides. An idea that Lorrie gave me was to bundle services together. Now this can be a good way to do this, especially if you can offer a package that will involve only one set of base research to produce several documents. I think Lorrie’s idea was to offer a press release with a case study on the same subject – so she’d so the research and the interviews, then do the case study and offer a press release at a reduced price, but without having to do a whole load of extra work, just the writing. It’s important that you don’t offer discounts that will make you feel bitter at how little you are working for! You don’t want to resent your clients or yourself for suggesting it! But times when work is slow to come in can sometimes be a good time to compromise a bit on fees if you receive a decent amount of work from the agreement you come to. So don’t sell out but think about whether you can offer a good amount of work at a price that makes the customer feel that they’re getting a good deal without short-changing you. Tip number six is to make sure they are aware of the services you offer. Say if they hired you to write a case study, they might not know that you also write annual reports, press releases, website copy etc. They won’t consider rehiring you if they don’t know you can do what they need. They may think they need a special PR firm for press releases; let them know they don’t. Show them results you’ve had in the past, be persuasive, be clear and sell yourself. Point number seven is to make the client feel appreciated. You can make sure you always send them a thank you email with every invoice, or thank them publicly on social media. Make it something that sets them apart and lets them see how much you value their loyalty. Make sure you thank them; treat them with courtesy. Courtesy is really important in business, so don’t just work for them then drop them. If they feel you value your custom, they’ll remember you in a positive way and it could bring them back to you. Tip number eight is to ask for feedback when you’ve submitted your first piece of work. Check that they are happy, offer edits if they need them. 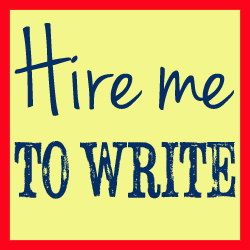 Most freelance writers, I think, agree to a certain number of edits – often one or two. Be very clear – you don’t want to be in a position that you’re on your twelfth edit because you didn’t specify a limit! But if they need them, be pro-active in offering to rework parts of what you’ve written, if they’re not happy. Similarly, requesting feedback can be a good way to find out if customers are pleased. And if they are pleased with what you did, this can be a good time to suggest other work. This opens up a dialogue where you can find out what else they might need. But even if you don’t do that at this stage, they will appreciate you making sure they are happy, and this will make a good impression that will stick with them. They’ll remember those kinds of touches. Tip number nine is to go the extra mile. Always over-deliver when you can. For instance when I send a client a press release, I also send them general pieces of advice on how to get the best results from press releases. Now, this is very little extra work for me, it’s a document I’ve prepared to go with the press releases I do, and it’s 10 seconds extra work to attach it to the email. This took me about an hour to prepare originally – I did research on the best tips, compiled them, rewrote it and now clients appreciate it. It doesn’t matter that I send it to everyone – it just helps any client to have better results with their press releases. Point number 10 is to remind the client – tactfully – of the benefits to them of working with a writer they already know. Prompt them and point out that they know the kind of work you produce, they know that they can rely on you to meet deadlines, and they know your fees, they know how flexible you are. No negotiations need to take place, no more leaps of faith because they know what they are getting. And as long as the work you’ve already done for them means they do know you are reliable, and write well, and can follow a brief, then this may help to sway them. Tip number 11 is: don’t leave contact so long that they’ve forgotten who you are. It’s important to follow up with past clients if you want them to become regular or future clients. If you follow up six months after you write their website copy, they might not remember you. Act within a week or two of finishing the piece of work you’ve done for them. Tip number 12 is to keep records. It can feel a bit tedious – in my experience! – to keep a database or spreadsheet of client information, but it’s invaluable if you want to remind yourself of who you have worked with who might be good to approach with the suggestion of new work. Make a note of the named person or people you worked with, their contact details, what you did for them so you can bring that up, and that kind of thing. I have a database for this purpose, which also has a notes section to remind myself about that client. If you remember that they’d just had a baby, or that they were considering expanding their business, if you can contact them again and ask how their new daughter is getting on or how their expansion is going, it makes a good impression. If you don’t keep up-to-date records, you’re relying on your memory and once you’ve worked with more than, say, a dozen clients, you may start to forget about people – especially if you just did a small piece of work for them. It doesn’t take long to update a spreadsheet when you hear from someone new, and it helps you approach them appropriately in future. The final tip is about practicalities – if you change your email address or your phone number, let all your previous clients know. It can be a good way to pop up in your inbox and remind them you exist. But also, if they try and get hold of you and can’t, they’ll quickly move onto somebody else. I also try to remember to add clients on LinkedIn or Twitter while I work with them, so my updates there will remind them that I exist, and so I can easily contact them if their details change. They may move to a different company or get a new number and if I want to approach them but can’t get hold of them, I can find them on LinkedIn or Twitter. One of the ways I do that is through a little Gmail extension called Rapportive. Now, Lorrie and I did an episode (I’ll link to it in the shownotes) on essential tools to freelancers, and Rapportive is one of my favourites. As I say, it’s a little add-on to Gmail and, whenever you open an email from/to someone, you get a little box on the right-hand side of the screen with lots of information on that person. It’s nothing creepy – it’s all publicly available stuff. It gives you their LinkedIn profile, their Twitter account, their most recent emails to you, and I find it really helpful to make the LinkedIn connection that way. You can request a connection from Gmail – you don’t even need to leave your Gmail. So those are 13 ways that can be really effective, and they can be used together although even doing one or two is better than nothing. They’re really good for persuading clients that they want more work from you than just the one piece you’ve done. You know that you do good work; make sure they know as well, partly through the work you submit and partly through gentle appropriate marketing that you do for them. If you value them and their custom, and do things on a timely basis, you can give them a better feeling about working with you. And now it’s time for the Little Bird Recommendation of the Week. And, as there’s just me today, there’s only one recommendation. Now, my recommendation is an article on a legal website and what it’s about is the laws surrounding Twitter. Now, this is particularly timely in the UK because we have some quite high profile people on trial for libel at the moment because of things they said on Twitter, including the wife of the speaker of the House of Commons. And she said something that may or may not have been libellous, and she said that on Twitter. And so what this blogpost is (it’s UK specific, although some of it’s just good advice even if you’re outside the UK) and it goes through some of the different laws that can be broken, basically – libel and slander, for example. But it also looks at the fact that, if you say that you work for an organisation but don’t say “These views are my own”, your employer can be liable for anything you say on Twitter. It also looks at promotion, copyright law, trademark law, cyber-bullying. It even looks at the contract you signed – i.e. ticked a box for – with Twitter itself. And also looks at regulations in certain professions, what happens if you have sub-contractors tweeting for you, and it’s the kind of thing that myself and a lot of people have wondered about over the years as Twitter gets bigger and as these things get to court more and more often. So if you want to know about how copyright law, trademark law affects what you say on Twitter, or the legality of sponsored tweets, or what to do if you’re in a profession that’s regulated by an external body, this is the article for you. I’ll link to this in the show notes so you can have a read – it’s very interesting and slightly alarming! So, that is the end of episode 39 of A Little Bird Told Me. I really hope you’ve found some value in the things you’ve learned today. Do check us out online: go to alittlebirdtoldme.podomatic.com and subscribe. Follow the links I’ve mentioned in the show notes and share the page with your friends – any freelance writer would love to hear about it, I’m sure! Thank you very much for listening – I’ve been Philippa Willitts and we’ll catch you next week.